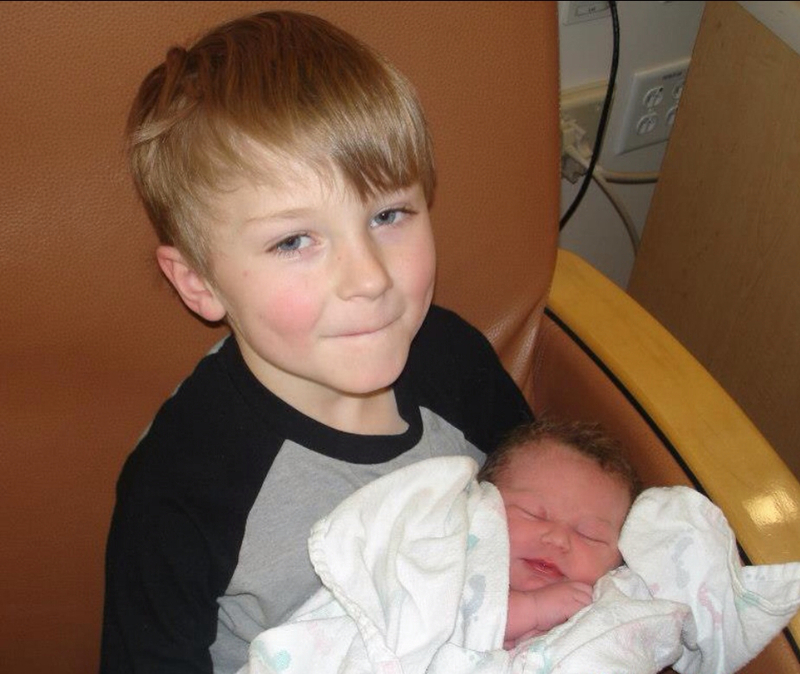 Deacon and his brand new baby sister, Gwenyth Pearl. This is wonderful. Awesome. And very sweet. Those sweet little pink cheeks! Such a sweet sweet picture! !